Bringing audiences an electric and innovative brand of contemporary dance. Kristin Damrow & Company's mission is to engage community through dance. Each year, Kristin Damrow & Company produces a showcase performance season by bringing together a diverse group of local dancers, artists, musicians, and other creative minds. This collaborative spirit underlies every story we choreograph and perform. KDC’s education programs create a place for people to grow stronger, express their creativity, and become part of a close community. Kristin Damrow grew up on a rural farm in Wisconsin then lived in Chicago while earning her B.A. in Dance from Columbia College. In 2010, she moved to San Francisco, California, where she founded Kristin Damrow & Company. Damrow has choreographed and produced over 15 new dance works for venues throughout the Bay Area. She has been featured in Fast Company, Backstage Magazine, KQED, and SF/Arts Monthly. 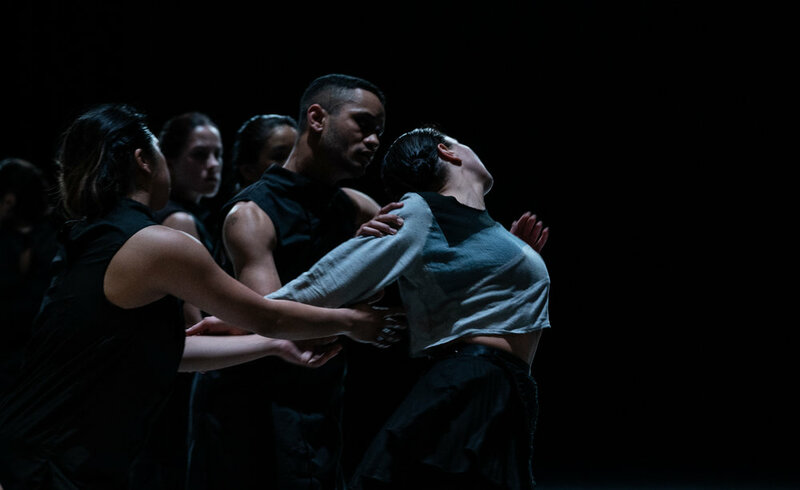 Kristin Damrow & Company’s annual home seasons have received support from the Zellerbach Foundation and the Kenneth Rainin Foundation. Damrow is a faculty member at ODC Dance Commons and Dance Mission Theater. She has taught master classes at NYU Tisch School of the Arts (NY), Columbia College (Chicago), Gibney Dance (NYC) and Mark Morris Dance Center (NYC). Damrow has been a guest instructor at the University of San Francisco, Sonoma State University, City College, LINES Ballet and was a resident artist at Iowa State University in 2018. In class I want to explore the physical composition of the body and how it translates to contemporary movement. How can our bones help move us through space? How can we turn off the muscles we don’t need to use the weight of the body to build momentum? I want to explore paring precision with abandonment. I want to discover how to use the body as a tool to move, to dig deeper into the rigor of contemporary technique. Kristin Damrow & Company is a Dancer's Group fiscally sponsored organization that relies heavily on people like you. All donations are tax-deductible and go directly to dancer's wages, costumes, scenic designs, and marketing. Your support is greatly appreciated!